This trendy chocolate mud cupcake with rich vanilla buttercream, topped off with a lovely heart shaped white meringue with gold detail. The Cake Society High Tea consists of 6 sweet treats and 3 savoury treats per person. Our selection changes often. The prices for our High Tea start at $38pp this includes your selection of tea. We cater to Vegan, Gluten Free, Dairy free, Egg free and Paleo diets too! Please book at least 48 hours earlier as your special treats are baked to order. Decadent vanilla sponge with blueberry filling, topped with crushed meringues. Add a wonderful custom made topper to finish off the look! You just cant go wrong with everyones favourite chocolate cake. You can even add a customised topper to customise the look! Ever dreamed of being SUPER? Ever WONDERed what that could be like? Well order one of these amazing Superhero Crest Cakes and we will be there in a FLASH. Just choose between Spiderman, Superman, Wonder woman or the Flash, and Cake Society will come to the rescue!! Wanting something cute for your Mini-me ? Look no further! This cute little cake is a show stopper for your little one. Leave it to us and take a bow. OM NOM NOM NOM NOM!!! Feed the Cookie Monster in your soul. With real cookies and heavenly buttercream, this ones a showstopper. Our signature black forest layer cake is barely iced, heavenly layers of vanilla buttercream and cherry filling line between port soaked chocolate cake levels. Whittaker's chocolate drip, shaved chocolate and specks of freeze fried cherries add that little dash of colour. This cake is available in the standard height as well as the (pictured tall) proportion. Our signature chocolate mud cake has a light raspberry filling, chocolate buttercream and is topped with edible roses and crushed raspberries. Gorgeous for all ages, a top hit for the kiddies through to our golden oldies. A real crowd pleaser. This cake is in the standard height (three inches tall). Our Signature Salted Caramel Cake combines the perfect blend of Vanilla cake base with salted caramel filling and vanilla buttercream. 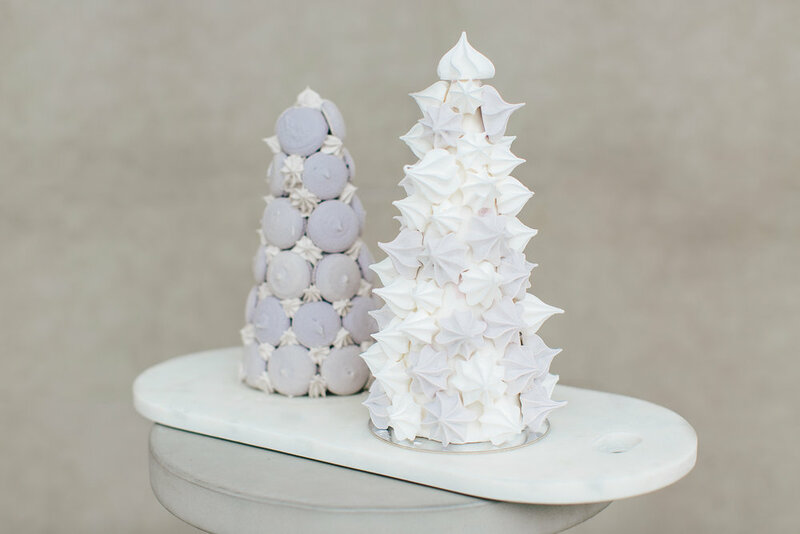 Decorated with a salted caramel drip, and your choice of coloured meringues. This cake comes in a standard height (3 inches tall).